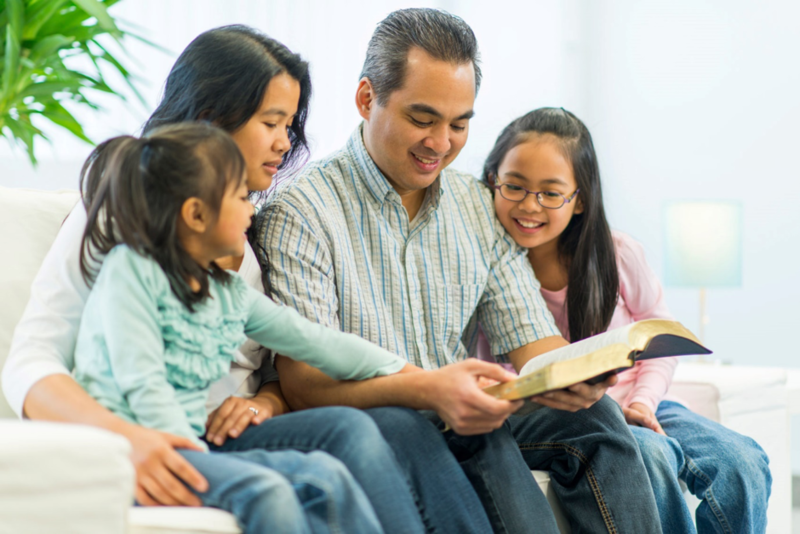 Are You and Your Children Regularly Attending Church on Sundays? The title for this week’s blog may surprise you. Why would I ask if you and your children attend church regularly on Sundays? Based on recent studies, there are declining numbers in church attendance, and many point to busy family schedules, including children’s sports on Sunday mornings, as the main reason. Many people would like to take Sunday as a day off, due to their very busy schedule during the week days and even on Saturdays. Sleeping in, relaxing, watching television, playing computer games – all these sound very appealing for a Sunday. Church anchors us. All day long we face bombardment from the outside world, so much so that we can lose our spiritual perspective: advertisements, social media, demands on our time, and other external forces. By attending church, especially as a family, we develop closer bonds with each other and God and learn morals and standards by which to live. We receive spiritual strength. Nothing can substitute for what happens in church. There is singing and praising God, a sermon to listen to, and many other activities that bring you closer to God. It sets the tone for you spiritually for the rest of the week. Church provides much needed fellowship. Often, churches have various groups that meet during the week. There are functions to attend. When you need a helping hand, a church member is usually there to assist. Church presents opportunities to serve. Our communities have so many needs, and churches help fill those needs. Families volunteer to provide assistance to others, exhibiting the love that Jesus wants us to show to our fellow man. Children learn to serve others and be givers rather than just receivers. We get to know God on a personal level. This should actually be the number 1 reason to attend church regularly. You can read her entire article by clicking here. I have always been a regular church attender. As a young mother, I remember a funny incident involving my oldest son who was about 7 years old at the time and wanted to stay home from church one Sunday morning. He wriggled on the floor over to my side of the bed, moaning and groaning, and told me that he was having such a severe stomach ache that he couldn’t attend church. I could instinctively tell that this was not true. I firmly told him that God expected us to be in church every Sunday and would not accept that excuse. Of course, he complained for a short while. I made him breakfast, which he ate, and within minutes, he was up and about playing with his toys and then getting dressed to go to church. He never made an excuse again. I often wonder what would have happened if I had accepted his excuse. What would have been the excuse he made up for the next Sunday and the Sunday after that? This coming Sunday, make a vow to attend church regularly as a family. The benefits will never end.